I have been going to clinics for 23 years. This was one of the best I have ever been to. 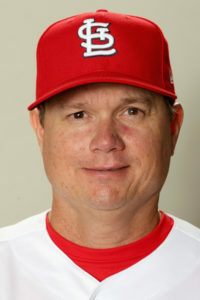 We are extremely excited to announce that St. Louis Cardinals manager, Mike Shildt, has been added to our 2019 speaker lineup. Shildt will speak on Monday (January 21st) at 10:50am. Shildt becomes the sixth MLB manager to speak at the I-70 Clinic through our 16 years. Shildt has coached at the high school level, college level and the professional level, which will give him a great opportunity to connect with coaches at all levels in our audience!